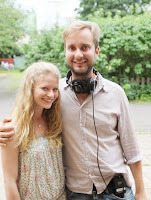 Dedicated to Emilie: "Love and Other Troubles" production in LA has started! "Love and Other Troubles" production in LA has started! I am really happy that "Love and Other Troubles" aka "Hulluna Saraan" is almost finished! I can not wait to see the first official stills or a trailer and i am sure you share the same excitement with me as well! For all the latest updates related to the movie stay tuned!